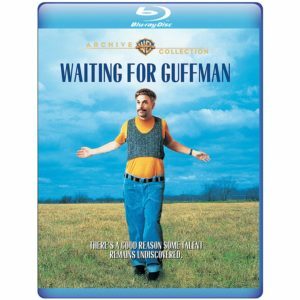 “Waiting For Guffman” (1997, Warner Archives Collection) If “Spinal Tap” found the all-too-human elements in oversized personalities, then “Guffman” – Christopher Guest’s first feature “mockumentary” as director/co-writer” – uncovers the stratospheric (if deeply weird) ambitions behind small-town, small-time life. Employing a weapons-grade cast of improvisational talent, including co-writer Eugene Levy and Catherine O’Hara of “SCTV,” Parker Posey, Bob Balaban and the great Fred Willard, Guest, who also appears as the hapless drama teacher Corky St. Clair (one of his more outrageous creations), mines considerable humor from the premise – the residents of a Missouri village are caught up in dreams of stardom when a New York critic is rumored to review their garish town musical, “Red, White and Blaine” (with songs written by Guest and his Tap-mates Michael McKean and Harry Shearer) – but the bite is also leavened by genuine affection and even sympathy for its array of oddballs, especially Posey’s wistful ice cream jockey. 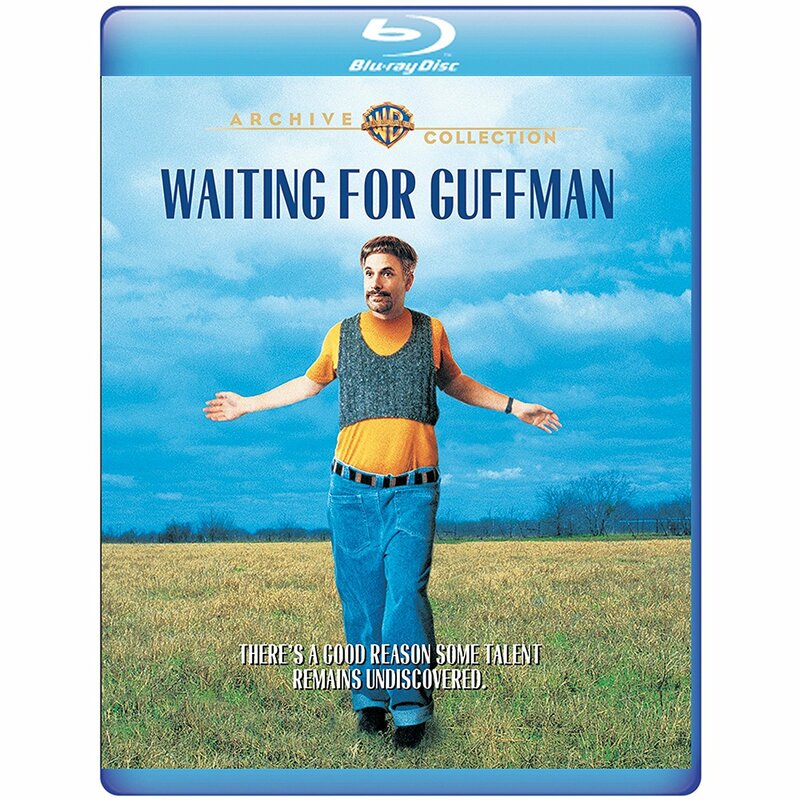 Warner’s Blu-ray includes acerbic commentary by Levy and Guest (respectively), and a half-hour of deleted scenes that are as funny as anything included in the film. “The Trip to Spain” (2017, Shout! Factory) Third go-round for this comic pas de deux of male egos (both puffed up and punctured), following “The Trip” and “The Trip to Italy,” again featuring Steve Coogan and Rob Brydon as slightly unflattering versions of themselves, traipsing through European splendor while simultaneously amusing and irritating each other. 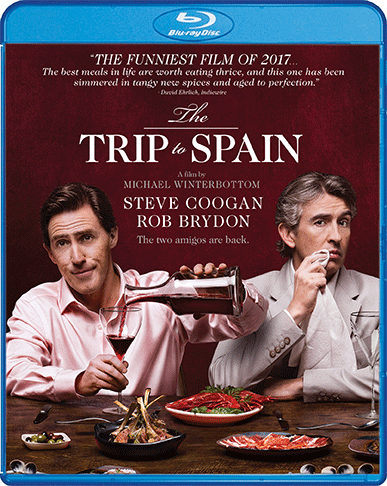 Here, as the title suggests, their destination is Spain, and while the countryside and especially its food looks remarkable, the pair is more interested in poking at each other’s vulnerabilities (specifically, the rollercoaster arc of their careers and Coogan’s caddish romantic pursuits) while also riffing on Michael Caine’s variety of accents and Bowie/Jagger imitations (all flawless). It may sound like a trifle, but director Michael Winterbottom’s pacing and sun-dappled visuals, and the performers’ willingness to skewer their own foibles (a hallmark of Coogan and Brydon’s TV comedy in the UK) make this another worthy excursion into the middle-aged male mind. “Glory” (2016, Film Movement) The title of this bitterly comic Bulgarian film ostensibly refers to a brand of Russian watch, well-loved by railway man Stefan Denolyubov, who delivers a lost bag of money to the authorities. It also applies, in an off-kilter way, to the aims of Margita Gosheva’s A-type PR flack who, in an attempt to spin the event as a positive for the corrupt transportation ministry, takes Denolyobov’s watch, which in turn, leaves the unrefined, taciturn man rudderless; the loss sets in motion an increasingly ugly game of back-and-forth which leaves neither party for the better. Well-crafted micro-lesson in how little control we have at every level – social, financial, personal, even physical (Gosheva’s job demands have kept her from getting pregnant) – and how our desire to gain some can reveal some ugly truths about the world at large; that these issues are addressed in an engaging manner – alternately humorous and suspenseful – is a credit to second-time directors Kristina Grozeva and Petar Valchanov (“The Lesson“). Film Movement’s DVD includes the 2014 Danish short “Helium,” which takes a more magical – and tragic – look at similar themes. 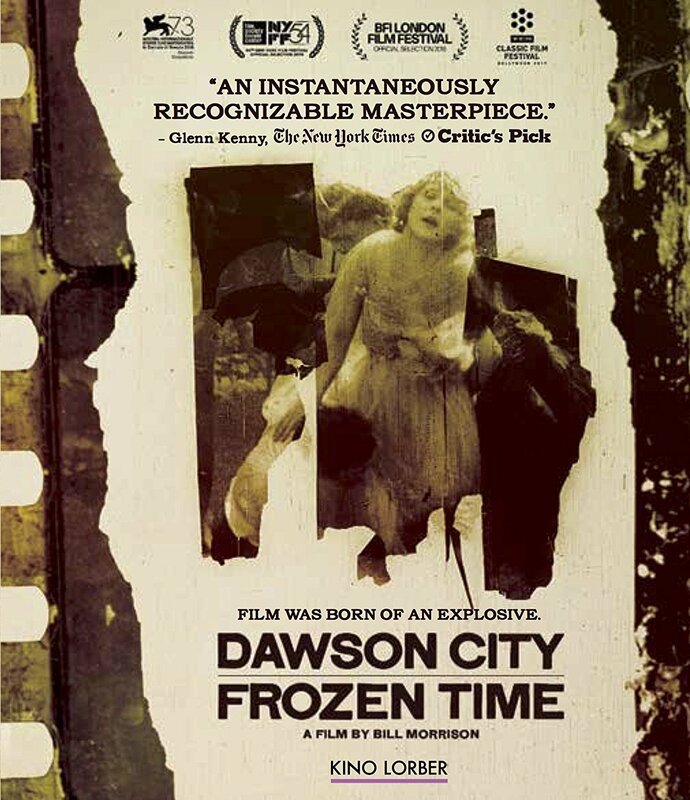 “Dawson City: Frozen Time” (2017, Kino Lorber) In this remarkable documentary, filmmaker Bill Morrison details the discovery of hundreds of buried film canisters in the titular city, all containing silent features and newsreels long though lost. The find provides Morrison with a springboard with which to trace the intertwining paths of Westward expansion and the film industry, which begin with settlers who made fortunes at the height of the Gold Rush, including founders of the Grauman and Pantages theater chains and the Trump family. Their success stories attracted new residents, transforming the cities from outposts to urban areas and creating a demand for new entertainment, which was answered by the rise of silent motion pictures. The decline of the format and the region left behind piles of abandoned, outdated films that serve as landfill until the mid-1970s, which is where the documentary comes full circle. Footage from the rediscovered films is unquestionably the highlight, including the only known footage of the scandal-plagued 1919 White Sox, which Morrison spins into surreal and beautiful montages, but the story itself, part history lesson, part archaeological adventure, is as compelling as the treasure find itself. Kino’s Blu-ray includes a featurette on the preservation of the films, several of which (including films by Tod Browning and Thomas Edison’s company) are presented in full. Also: Speaking of silents, “Beggars of Life” (1928, Kino Lorber) arrived at the dawn of the talkies, and at one point, was released with scenes featuring synchronous sound. That version has been lost, so only the silent version, which was restored by the George Eastman House from 35mm film elements, is included on Kino’s Blu-ray. 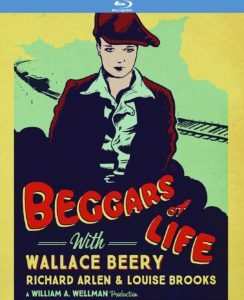 The film itself, directed by William Wellman (“Wings”), benefits from some Hollywood-styled grit in the form of icons Wallace Beery, as a hobo king, and Louise Brooks as the girl he and fellow down-and-outer Richard Arlen pine for. Wellman did desperation with greater veracity in “Wild Boys of the Road,” but the presence of Beery and Brooks – grimy but still glamorous – make up for it in presence. And: “Julian Schnabel: A Private Portrait” (2017, Cohen Media) is an attractively packaged but paper-thin documentary about the artist and film director, which takes a Classics Illustrated approach to his life and work, providing few details or depth but plenty of praise for his accomplishments – which are many, though few are showcased in detail – by celebrity friends. It’s high quality gloss, but gloss all the same. 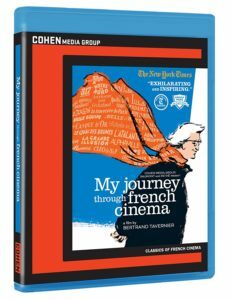 More substantive fare can be found in Cohen’s Blu-ray of “My Journey Through French Cinema” (2017), which, as the title implies, follows director Bertrand Tavernier (“Life and Nothing But,” “Round Midnight”) on a three-hour tour through the work of directors he admires, including Jean Renoir, Jacques Becker and Marcel Carne, as well as his own interactions with filmmakers like Jean-Pierre Melville, for whom he served as an assistant. Those seeking a personal, invovled and informative guide through the first half of 20th century French film couldn’t do better than to join Tavernier on his journey. This entry was posted in Movies and tagged Cohen Media Group, Film Movement, Kinor Lorber, shout factory, Warner Archives Collection. Bookmark the permalink.